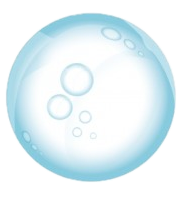 Are you are looking for an environmentally friendly & professional maid cleaning service? If so, you will be delighted with Cleaning Force Services trained, uniformed and insured house cleaners. 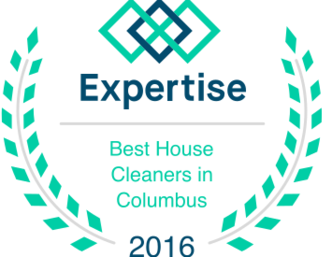 We are an independently owned and locally operated house cleaning company that services Columbus and surrounding areas since 2011. Cleaning Force Services is more than just a residential cleaning company; we are in the business of creating better lives for our customers and employees. We give our clients more quality time for themselves, their families and friends by eliminating their largest “to do” item on their list, and providing them with a peaceful and clean environment where they can relax and connect. We empower our employees to achieve their fullest potential in an environment that values a strong work ethic, the confidence in one’s ability to excel and an attitude of gratitude. 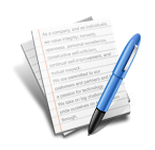 ​We pride ourselves on our attention to detail, so much so that we offer a 100% satisfaction guarantee. If a customer is not totally happy with their cleaning, they can simply call within 24 hours or less of their cleaning and we will make it right. ​All employees have been carefully screened before being hired – we do a thorough background check as well as administer drug testing. We are very proud of the people who make up our professional cleaning teams. 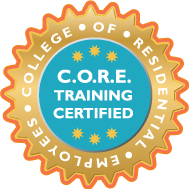 They are thoroughly trained and extremely dependable. On the day of the cleaning, our employees arrive at your home wearing a Cleaning Force Service uniform which consists of the employee’s first name and our company logo, so you can easily identify who will be coming into your house. All of our employees are insured and bonded for your safety. 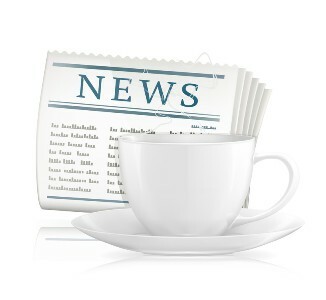 We have over $2 million in insurance coverage so you can feel comfortable while we clean your home. 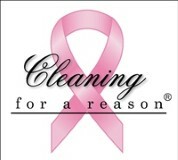 ​Cleaning Force Services is a proud partner of the Cleaning for a Reason Foundation! Fighting cancer is difficult enough, but living with it is even tougher and that’s where Cleaning For A Reason steps in. 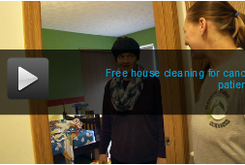 As a nonprofit serving the entire United States and Canada, they partner with maid services to offer professional house cleanings to help women undergoing treatment for any type of cancer. 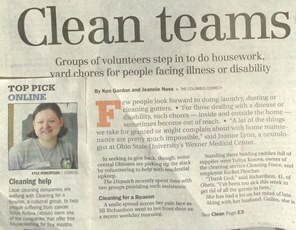 To date, the foundation has provided more than 17,000 cleanings for women with cancer with a value of more than $4 million in donated cleanings, and partnered with over 1000 maid services. 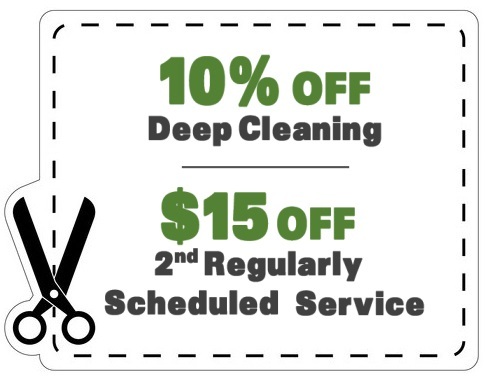 neighbors-- tell someone about Cleaning Force Services. 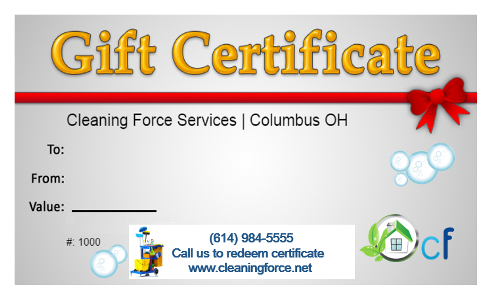 ​A nice way of telling somebody you appreciate them is buying them a gift certificate from Cleaning Force. It is very easy and simple to get one and you can buy as many as you want. Simply click here or click the gift certificate icon on the right. It will take you to the page where you can buy different values of gift certificates. Thanks for choosing us.